Those who like it hot tend to smile down upon the concerns of those who don’t. Here, however, lies the challenge. They are identified with chile pepper pungency to such an extent, it often ends up being overdone. 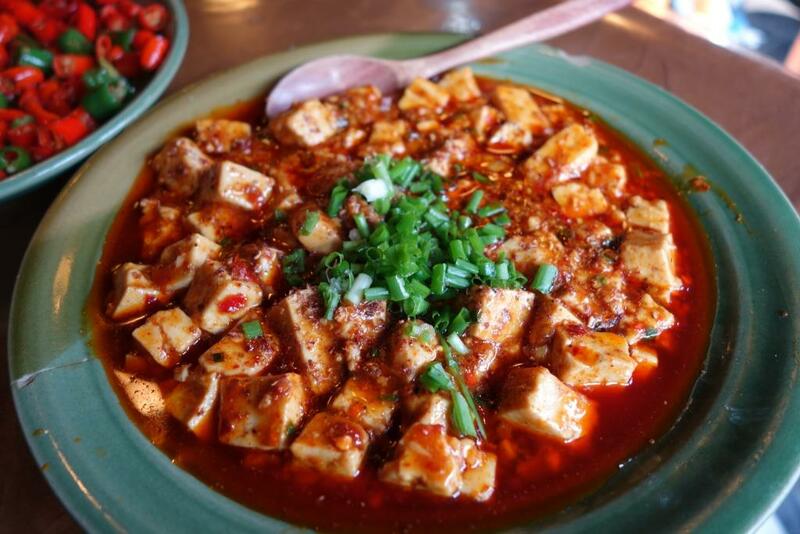 For a while already, Sichuan cuisine is being ruined that way. The combination of chile and Sichuan peppers is typical for its taste; that taste has become ever more popular – so, lazy cooks use more chile and Sichuan pepper. And if possible, hotter chilli. That may be good for a few ecstatic comments from chileheads whose tongues burn and foreheads glow, but it is not the real taste. Too often, it is not even good anymore. Add to that how often the chile pepper would even be a main ingredient, not just a spice, and it’s clear how important the qualities of the basic ingredient would be. Finding the right balance between ingredient, preparation, and guest is difficult, then – and the challenge. Chilli itself sometimes is used just as a spice to add some zing. Or it may accompany the main ingredient. In other dishes, again, the chile pepper may figure as the main ingredient itself. Not surprising, then, why I talk of “Know Thy Chilli” here (and argue that “There is no chilli“). And thus, different uses need different chile peppers with the right properties. Otherwise, a nice and tasty dish can end up hazardous waste in a pan. Biting into that can be just about as appealing as the prospect of taking a bite out of a red-hot lava flow. So, if the right dish is to be prepared the right way, with the aroma and pungency it should have, it takes the right kind of chile pepper. It is not only the variety that makes the pungency, though, there is also an influence of weather and season, for example. For the cook, then, another challenge of cooking with chilli is the necessary final say, based on experience and their “nose” for pungency and aroma, on whether the available chile pepper is really going to work. You just cook in whatever way you want, using some spice mixture or even just salt; leave it up to the individual eater to spice up their food as they desire. What sort of cooking and attitude towards cooking is that, though? On the part of the eaters, finally, chilli cuisine isn’t just to be consumed. Yes, a good cook will have adjusted the food to the eaters. Just as different chilli tastes differently and even the same chilli can be different when harvested at different times or stages, so different eaters – and the same eaters at different times – will feel pungency differently. This, too, is a typical challenge. Just not the only or even main one.